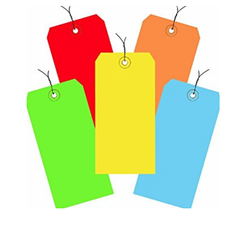 Our range of products include inventory inspection labels, quality control inspected color coded qc labels, numbered inventory labels, fluorescent warehouse & pallet labels, inventory status tag and blank tyvek tags. 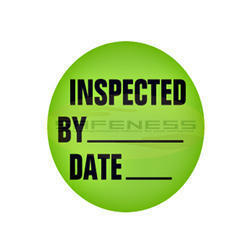 Design Fluorescent inspection inventory labels are highly visible for easy organization. 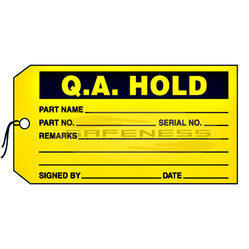 Inventory Control Labels are used to keep a track on quality and the quantity of inventory stored in a warehouse. 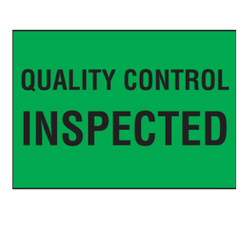 Quality Control Labels identifies if the Inspected contents have passed inspection or not. It Monitors equipment, materials and production with quality control labels. Stick vinyl labels on the product once it has been inspected. 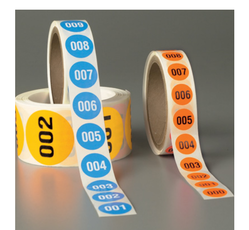 Numbered Inventory Labels are used for the inventory control with a high degree of accuracy. Ideal for accurate inventory control. The label measures are 1" in diameter. 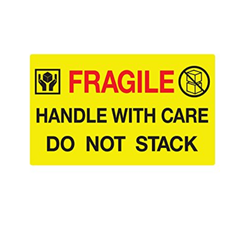 Size 2"h x 3"w, 3"h x 5"w and 4"h x 6"w.
Fluorescent Warehouse & Pallet Labels are highly visible fluorescent labels that can be easily seen even in poor light conditions. Eliminate tedious hand-written instructions pallet and warehouse labels. It can be used on pallets, boxes and packages. Design Smooth and easy to write on with pen,pencil or permanent marker. Inventory Status Tag is used to shows the status of important inventory stock, and informs employees of important inventory information. It consists of a cardstock paper which is smooth and easy to write on with pen, pencil or permanent marker. These are the special type of Inventory control tags which are resistant to water and chemicals which makes it ideal for both indoor and outdoor applications. Square-cornered blank Tyvek tags.Fiber patch with metal eyelet prevents ripping. The 5S banners and wallcharts are used to motivate everyone to keep up with 5S. Wallcharts can withstand any environment. 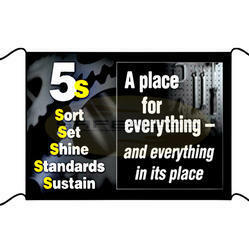 These banners are made from durable vinyl for long-lasting use. Safety sign reads "designated Red Tag Area". These extra large red tag area signs can't be missed - even from a distance! 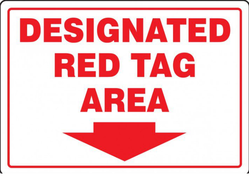 Durable red tag area signs come with four mounting holes for easy installation. . 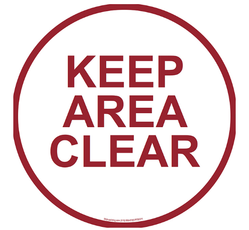 These keep area floor stencils are used to mark areas that need to be kept clear at all the time. It creates a permanent message on walls, hallways and walkways. 3. Excess paint easily cleans off the surface for long-lasting use. It creates effective safety messages with reusable floor stencils. The advantage of using this heavy duty polyethene plastic floor stencils is that it can be used over and over again. Excess paint can be easily removed from plastic stencils. Floor sign reads "pallet Jack Parking"
Floor Signs - Pallet Jack Parking are used to indicate the place of pallet jack parking. Floor sign reads "PALLET JACK PARKING". 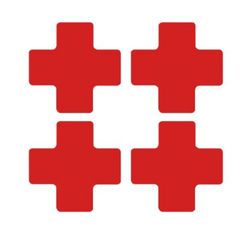 Die Cut Shapes shows red colored cross marks. These marking tapes are easily removable and highly durable. Low-profile design minimizes wear and tear from skids and pallet jacks. Let’s you peel off in one small piece rather than removing several feet of tape. Adheres best to ceramic and linoleum tile, flecked and solid urethane and concrete. Bold color creates attention to the area in need. Material Aluminum, Polyethylene or Steel. 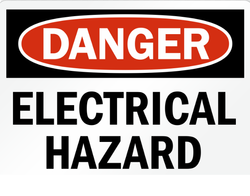 This sign is used to help people keep away from electrical hazards by warning them with the use of electrical safety signs. 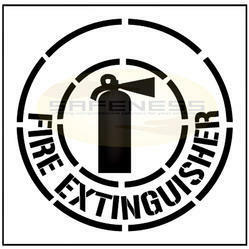 Comes in three material choices: Aluminum, Polyethylene or Steel. 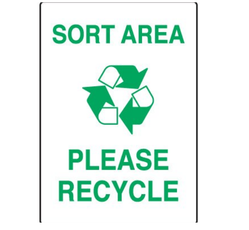 This sign can be used to promote recycling and encourage people to recycle in and around your facility.Recycling signs help your employees easily identify areas designated for the recycling of obsolete items. 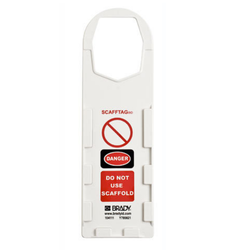 Scaffold safety tags are used to mark unsafe scaffolds to avoid potential accidents. Features 'Danger' header and a red background to communicate hazard right away. 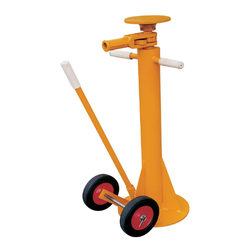 Design Swivel head adjusts from 40" to 51"
Swivel head 40" to 51"
The tilting and tipping of trailers during loading or unloading can be avoided by using Heavy-Duty Ratchet Trailer Jacks. Quick and convenient ratchet screw lift lets you position your jack under the trailer and raise the trailer to be level with the edge of the dock. Dimension 14"h x 10"w, 20"h x 14"w, and 10"h x 7"w.
The Roof Access Signs are used to inform the employees to evacuate the facilities during emergency. 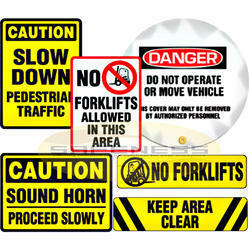 Fade-resistant signs are made from a variety of materials: aluminum, foam adhesive, magnetic, plastic, steel and adhesive vinyl. Design Durable plastic holders with removable inserts attach directly to scaffolding for a secure display. 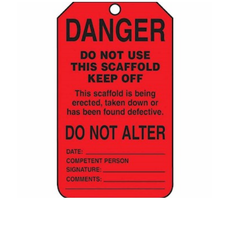 Caftan ® scaffold safety management system communicates updated inspection at multiple points of a scaffolding unit. 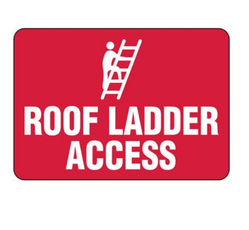 Durable plastic holders with removable inserts attach directly to scaffolding for a secure display that provides system, procedural and legal compliance. Feature Heavy-duty, steel chocks will not break or crack. 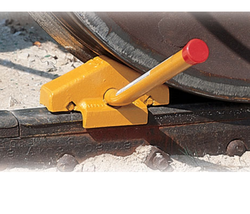 The movement of railcars during loading and unloading is restricted by using a single rail chock. It holds the car in one direction and prevents the rail movement. For high visibility, it is coated with a bright yellow paint. Heavy-duty, steel chocks will not break or crack. Design Single rail chocks with 2-sided flags include a 10" long handle with red grip for operator safety. 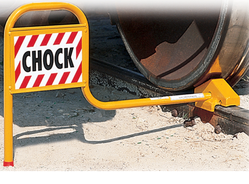 Single Rail Chock with Flag makes the driver aware of the location of the wheel chock. 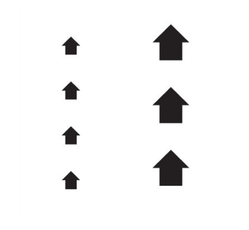 It helps to prevent the movement of the cars during loading and unloading. 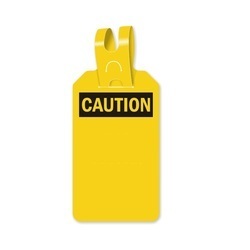 Caution self-fastening tags allows the message to be displayed under the heading of caution. These tags are very flexible , at the same time highly resistant to dirt, moisture and grease. Application On walls, hallways, and walkways. Paint a permanent message on walls, hallways, and walkways. Excess paint easily cleans off the surface so stencils can be reused. Feature Light weight and an ideal alternative to Steel Dock Boards. 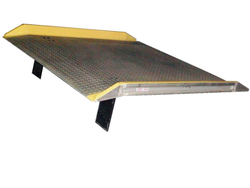 Aluminum Dock Boards are ideal for low to medium volume dock loading applications. Dock Boards are for use with forklifts and pallet jacks.It is of light weight and an ideal alternative to Steel Dock Boards. Looking for Inventory Control ?